Expose 650+ agricultural education professionals to new products and services provided by agricultural education partners from the agri-business and education communities. Door Prize Giveaways - A great way to bring attention to your company, organization or the products you offer is by donating a door prize to the 2018 NAAE Organizational Members and Business Partners Reception. These door prizes will be offered to attendees that visit booths during the reception. Tote Bag Stuffers - As an organizational member, you can “stuff” a small promotional item (pen, flyer, brochure, or any other item) from your company/organization into our convention tote bags. 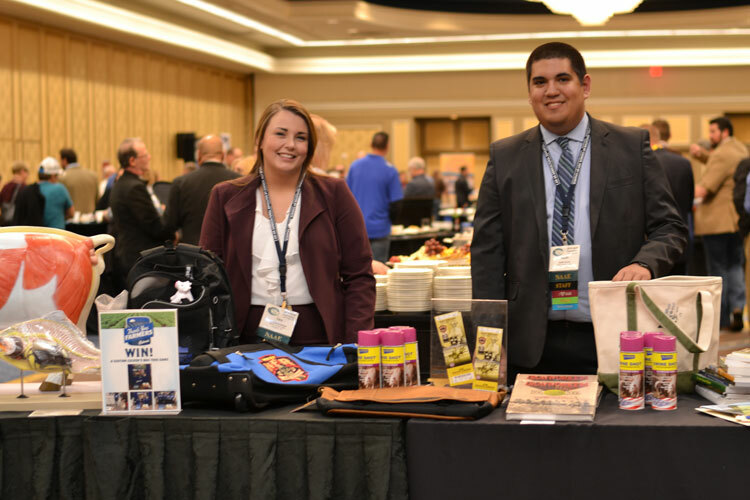 If you would like to take advantage of this opportunity to promote your business just send 650 pieces of the item you would like “stuffed” into the convention tote bags to the NAAE office by Friday, November 2, 2018.